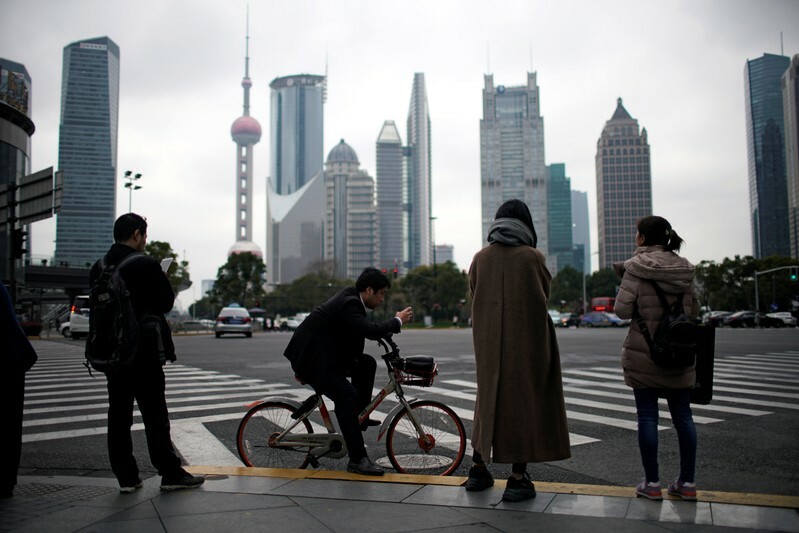 SINGAPORE (Reuters) – China’s economy showed “unmistakable” signs of recovery in the first quarter, with company profits, investment and hiring improving, but policymakers may be relying too much on extraordinary levels of credit, a private survey showed on Wednesday. The quarterly survey of thousands of Chinese firms by China Beige Book International (CBB) painted a surprising picture of a turnaround in business conditions after a poor fourth quarter that saw the weakest economic growth since the financial crisis. CBB’s findings were in contrast to mostly downbeat official data for January and February and other business surveys which suggest recent stimulus measures are only slowly kicking in. Most analysts have also warned of a rocky first quarter, and do not expect China’s economic downturn to bottom out until mid-year. However, the U.S.-based consultancy questioned whether the first-quarter’s “credit-soaked” recovery was sustainable, noting riskier types of shadow banking were on the rise again. While companies said access to credit was improving, the survey also found some firms were reporting higher interest rates, despite the central bank’s efforts to lower financing costs. “Credit is surprisingly expensive… Credit costs need to be further stabilized or the current rally will falter,” CBB said in a statement, saying shadow lenders were charging sky-high rates. Chinese banks lent a record 3.23 trillion yuan ($477 billion) in January as policymakers tried to jumpstart sluggish investment and prevent a sharper slowdown in the world’s second-largest economy. Authorities have urged banks to keep lending to struggling small and private firms in particular, even though such companies are considered higher credit risks. “Even traditionally disadvantaged firms in the credit markets are no longer so – at least for a quarter: private firm borrowing outpaced state-owned enterprises in the first quarter,” CBB said. In early March, Premier Li Keqiang announced billions of dollars in additional tax cuts and infrastructure spending this year. Along with a growing list of government support measures, signs of progress in U.S.-China trade talks may also have been a factor behind the improvement in business confidence, CBB added. China will release March and first-quarter economic data around mid-April.